Abilene Christian athletics Tuesday lifted its number of Southland Conference Commissioner Honor Roll awardees for the fourth consecutive year as a school record 123 student-athletes were named to this distinguished list. ACU led all Southland schools last year with 104 honorees and in year’s prior finished with 90 (2015), 84 (2014) and 54 (2013) honor roll selections. Football did not record any honorees in 2013 when it was competing as an FCS Independent. “I’m very proud of the hard work that our student-athletes, coaches and academic staff put in last semester,” said ACU Associate Director of Athletics for Academics Chris Ballard. “While our athletes deserve the credit for completing their required academic work, our staff and coaches worked diligently alongside them to ensure they received the necessary support and succeeded at the highest level. Wildcat football went from having 47 honorees and a 2.66 GPA in the fall of 2016 to 58 honorees and 2.95 GPA this past term. Bryce Baccarini, Caleb Cobb, Trevor Crain, Jon Crisp, Josh Fink, Jack Gibbens, Chase Harris, Erik Huhn, Jaryd Lara, Kade Munden and Ben Norman all posted 4.0 GPAs. Soccer completed its term with a 3.60 grade-point average as 97 percent of the team recorded a GPA of 3.0 or higher, and Volleyball finished with 15 honorees and a 3.40 GPA. Just under half of the soccer team (13-of-30 players) recorded 4.0 GPAs through majors ranging from accounting to nursing, while volleyball claimed four individuals with perfect semesters: Amanda Chapa, Lillian Drever, Sofia Resendiz and Amy Weiss. Women’s cross country finished its semester with a 3.29 GPA to go along with its second Southland Conference Championship in three years. Five runners registered a 4.0, including all-conference honorees Carnley Graham and Alexandria and Michaela Hackett. Men’s cross country also did well with a 3.49 GPA led by 4.0 recipient Lincoln Jones. Overall, 21 of ACU’s 30 cross country runners made the conference’s honor roll. Central Arkansas led the conference with 127 total honorees, followed by Abilene Christian with 123 and Northwestern State with 101. UIW named a total of 96 student-athletes to the list, followed by McNeese (81), Sam Houston State (80), Stephen F. Austin (79), Southeastern Louisiana (78), Houston Baptist (75) and Nicholls (70). Lamar (69), Texas A&M-Corpus Christi (43) and New Orleans (22) rounded out the Fall 2017 Honor Roll. This year’s honoree total of 1,044 is a marked improvement from fall 2016, when 1,008 student-athletes earned the distinction. 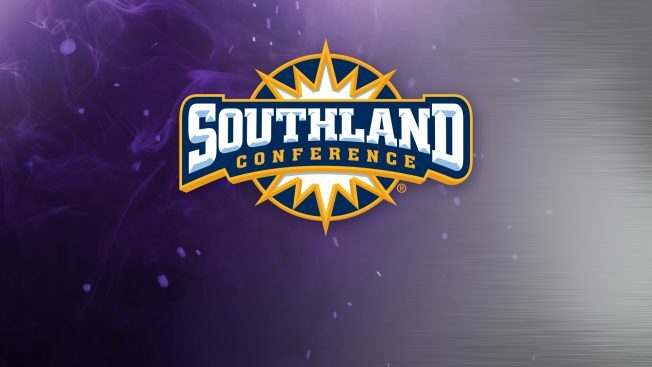 The Southland Conference Commissioner’s Honor Roll acknowledges participants in all sports sponsored by the league and its member institutions. The honor roll recognizes student-athletes who maintained a minimum 3.00 GPA. Student-athletes must have been eligible to compete in a conference sport during the academic year in which the nomination occurs. View more from ACU Sports.